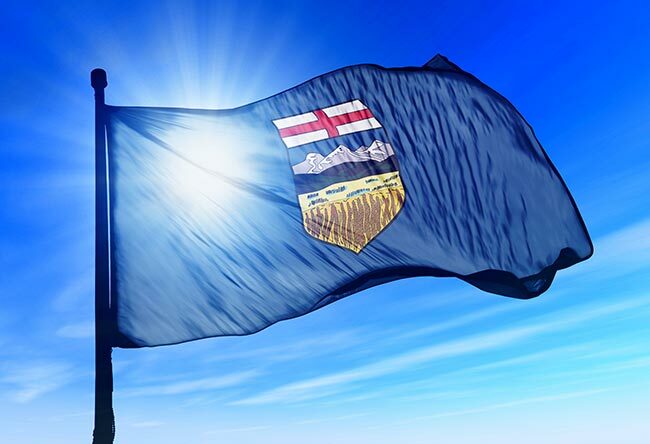 With a per capita income of $57,380 in 2005 US dollars, Alberta is the most prosperous economy in Canada and one of the wealthiest in the world. This great wealth is the fruit of diversity; the province hosts a myriad of industries, from mining to manufacturing to agriculture to renewable energy. Hot Shot Trucking has the experience and expertise to serve all of these sectors, linking Alberta’s many businesses through fast, secure shipping. 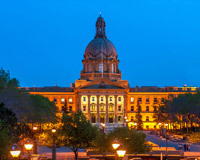 Any province with as diverse an economy as Alberta’s will struggle with logistics. Not only does each industry have unique shipping needs that carriers have a difficult time meeting, but the sheer quantity of businesses creates logistical problems of its own. 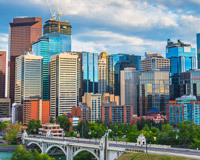 The more firms there are trying to ship goods, the more congestion there is, especially along urban centers like the Calgary-Edmonton Corridor. Booming economies thus tend to be victims of their own success, slowed down by the very diversity of industries that made them successful. With the aid of Hot Shot Trucking, however, Alberta’s industries can continue to boom uninterrupted. We have long served diverse economies in packed urban areas, having worked with hundreds of clients from dozens of industries. Team Tenacity - For deliveries across large distances, we assign teams of two drivers to each truck. This strategy allows one driver to rest while the other takes the wheel; they then switch when the latter becomes too tired. We can thus keep our vehicles on the road at all hours of the day, yet there is little risk that drivers will become too fatigued to do their work safely. Dedicated Driving - Along with dedicating two drivers to each truck, we dedicate a truck to each client’s orders. This means you will not have to wait for us to deliver someone else’s inventory before we get to yours. It also simplifies the process for using specialized storage equipment. Motivated Maintenance - Our Hot Shot service specialists inspect conduct regular vehicle inspections, looking for damages and opportunities to install more advanced equipment. Through this maintenance, we prevent our trucks from breaking down or driving too slowly. We also reduce fuel consumption, resulting in lower prices. Continental Connections - In addition to Alberta, we have vehicles in Quebec, Ontario, Manitoba, British Columbia, and most of the US. This means that our trucks are close enough to any starting point that we can pick up your order within two hours. 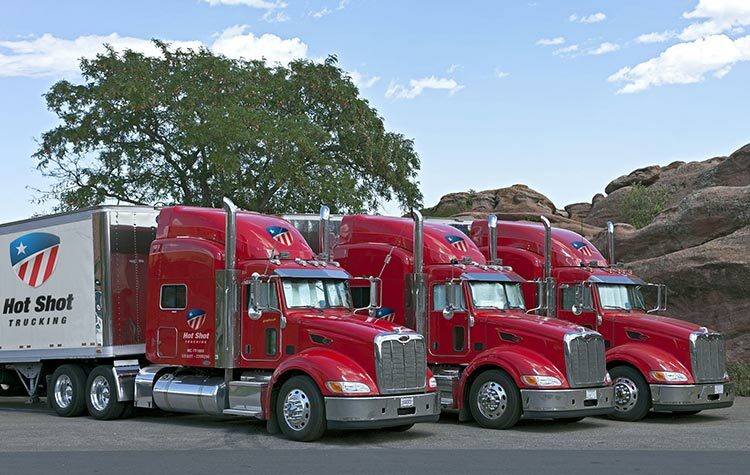 Surmising Size - Our Hot Shot freight vehicles range from the largest tractor trailers to the smallest sprinter vans. We assign a vehicle according to the volume of your order, taking care to use every inch of space effectively. 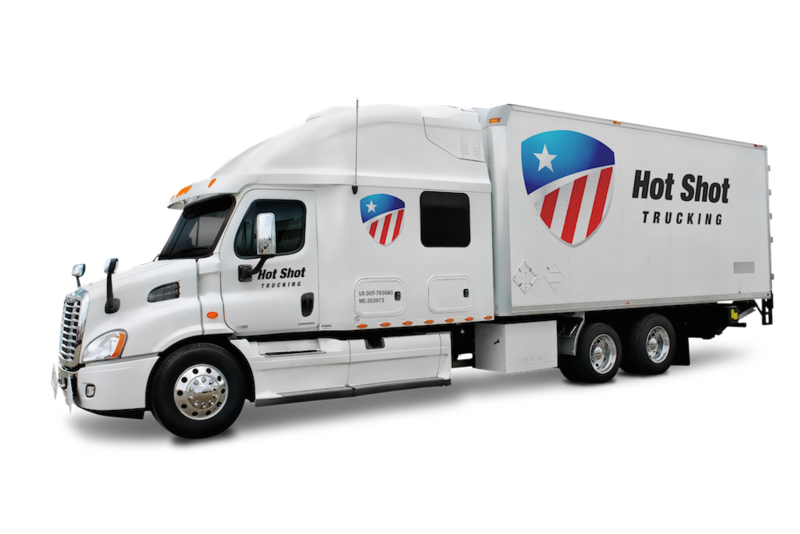 Hot Shot Trucking is committed to staying in contact with you from the moment you inquire about an order, until that order has been delivered. We start by giving you a free quote and end by providing updates on the truck until it reaches its destination. For more on our services, call (800) 713-1000 or visit our website today.